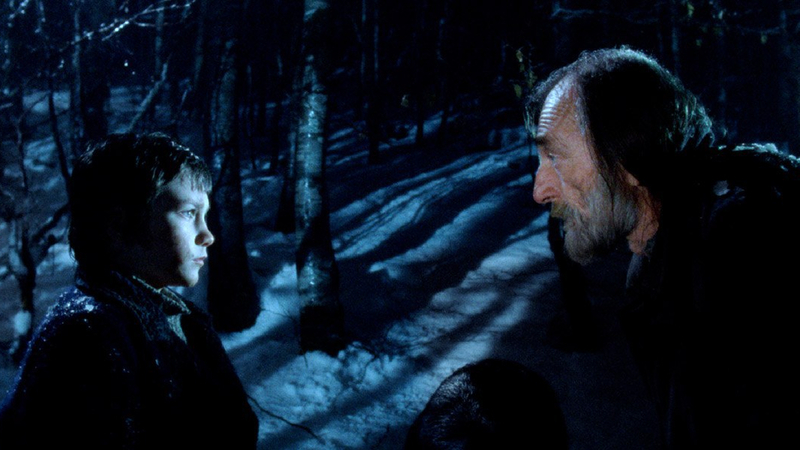 An old man and a young boy meet by a dying tree. They’ve both taken different paths to get here, but somehow they share the same memories. A deeply affecting vision of the lost paradise of childhood, André Gil Mata’s DRVO is a hypnotic trawling of individual suffering against the backdrop of a war-torn landscape. A debut feature that pulsates with a cinephile’s admiration for his predecessors, viewers won’t be shocked to discover that Gil Mata is a graduate of Bela Tarr’s FilmFactory school in Sarajevo. Replete with bold and excessively long takes, sustained silences, and a lean narrative encased by a sublime beauty, DRVO is as mesmerising as anything Tarr ever created, even if it’s never quite as satisfying as the Hungarian’s greatest work. The film focuses on an old man, buffeted and bent by the cruel winter weather and the unnamed conflict that frames the film’s desolate yet eerily beautiful landscape.We follow him in painstakingly slow tracking shots as he leaves his home to gather empty jars and collect water for his neighbours. The town seems deserted and, as he performs this thankless task, the only sounds that can be heard are the crunch of snow, the clanging of glass jars and the distant roar of artillery fire. His only companion is his dutiful dog, but there’s an imperceptible energy in the air, as if some unseen force is propelling the action forward; with the mundanity of his task quickly developing a transcendental quality. Staying close to his protagonists at all times, Gil Mata patiently draws a profoundly empathetic portrait of human suffering that is at once intimate and epic. Turning his psychology into a choreographic spectacle, the film eventual settles into the old man’s private rhythm and the monotony of this task is depicted with a gestural precision that renders each minute action as something monumental. Indeed, there appears to be something almost ritualistic about this task, and you can feel from the manner in which he moves, that this is an errand he has completed countless times before. A film of un-fillable voids and cryptic despair, the slowness initially feels like a punishment – for what, we don’t yet know. Though it may sound intimidating, it’s far from being tiresome or impenetrable, and the world that Gil Mata has created is strangely hypnotic, even mesmerising. Time is the director’s greatest weapon here and, despite initially feeling like he’s elongating each second so it purposefully feels like an eternity, it quickly becomes apparent that time is slowly creeping out of the frame like a ripple, subtly accentuation the inaction and repetition as potentials repositories for higher meaning. When he finally reaches the spring, the man discovers a young boy sleeping under a tree by the river bank. While nothing is made explicit (there is hardly any dialogue in the film) their encounter makes the literal-seeming narrative dissolve into dreamy irrationality. Whether or not we interpret this final scene as a dream sequence is irrelevant, because by this point the objective and subjective plots become almost indistinguishable as memory becomes a tactile hallucination.